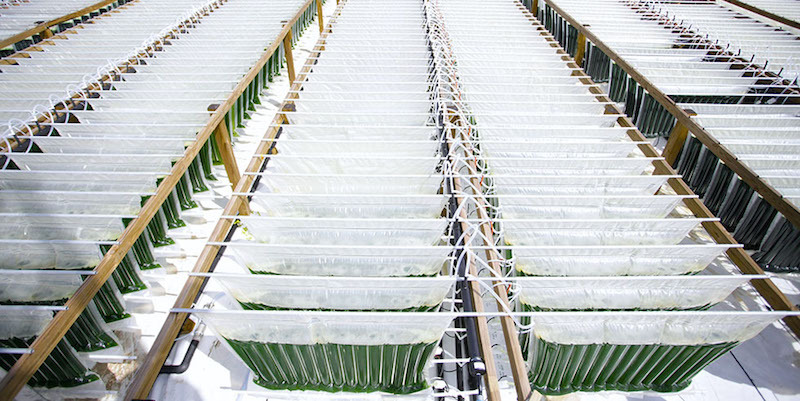 Algenol has deployed its first algae production demonstration module in India located near Reliance’s Jamnagar Refinery in Jamnagar, Gujarat. Algenol’s process uses algae to convert 1 tonne of carbon dioxide (CO2) into 144 gallons of ethanol, gasoline, diesel and jet fuels. The module was fully constructed by November 2014, and since then shake-down runs and tests have produced several batches of algae. Reliance manages day-to-day operations at the demonstration module, while Algenol provided training and operational support to get the production started. The process takes proprietary algae, sunlight, carbon dioxide and saltwater, and produces fuel that costs about USD1.30 per gallon. It can make about 8,000 gallons of liquid fuel per acre per year. India is a prime location for this module because it is the world’s third largest producer of CO2 and a net crude oil importer. Furthermore, the use of saltwater as opposed to fresh water alleviates drought concerns. Algenol is a company based in Fort Myers, Fla., U.S.A., that uses cyanobacteria to convert CO2 to pryuvate, and then into ethanol and a bio-oil. Reliance Industries, Ltd. is the largest private oil company in India and the Gujarat oil refinery is the largest in the world.